It's Fall and our skin is feeling the change in temperatures. Our skin needs comforting, needs to be nourished and needs to feel smooth under all the layers of clothing. 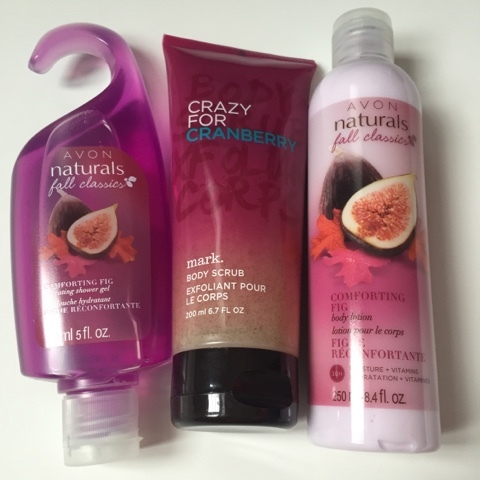 Thanks to AVON's classic naturals body line for a limited time there is comforting fig..body lotion an d shower gel...and more. Mix in mark. 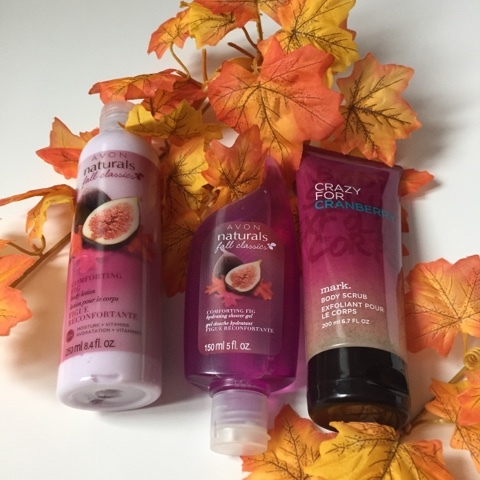 Crazy for cranberries body scrub and you have the perfect combination of senses and moisture for your thirsty skin. A combination of Fall, sweet figs, juicy plums and warm amber. Bubble bath $10 - 700ml bubbles! A sweet blend of cranberry, fruity rose and vanilla bean. Body Scrub $14 - 200ml contains natural exfoliants like walnut and bamboo power with foaming action leaving your skin so smooth and clean. Also available 3-1 body wash, body mist, hand cream and body butter.